Remember when flipping pancakes marked a slaphappy good time? It may be hard for you – queen of the last-second lunch – to recall now, but mine those memory banks to when you, too, considered licking the spoon to be as equally important as breathing. Believe it or not, even in the digital whirlwind, the spatula holds major sway with little ones. And though cooking with kids is usually messy, it’s still super fun, economical and serves up oodles of teachable moments. Here, more reasons to step up to the plate. For preschoolers, prep time is always a palate pleaser. Keep knives at bay, but roll out safe kitchen tools like plastic cookie cutters, straws and ingredients. Garnishing is big with this group, so allowing them to spread pizza sauce or sprinkle toppers on sweets will whet their appetite for more advanced tasks down the road. The school-age set can sharpen both their kitchen and math skills, combining and measuring ingredients for recipes. This stage is also a good time to throw out some cautionary words – not lectures – about good nutrition and healthy eating. With the groundwork laid, encourage tweens and teens to widen their reach, exploring different types of foods and meal planning, while teaching them to use trickier appliances (with supervision, of course). And who doesn’t love a good taste test? The family that cooks together must come together. As you may have noticed in the five seconds between activity runs and homework, families are busier than ever. However, dedicating a few days a week to not only eat together, but also cook side-by-side, sends a silent reminder to your little chefs that nothing outranks family time. The happy by-product of all this bonding is a sit-down meal at the dining table (no technology or eating in separate rooms allowed), where you can discuss the day and what’s on the horizon. Cooking stimulates the slow-down process long enough for your family to steam ahead reconnected. 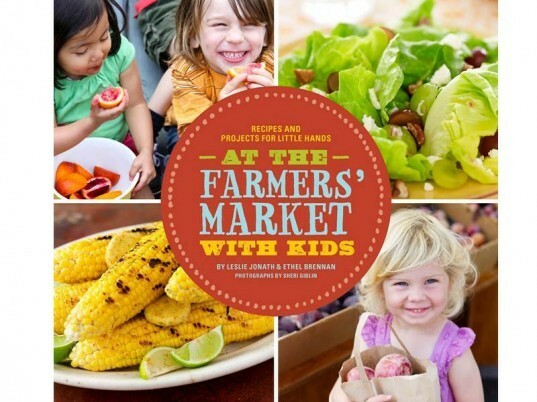 RECIPES FOR YOUNG CHEFS…and fun in the kitchen! Simple recipes (cupcakes! casseroles!) all cooked in cups make this how-to a crowd pleaser for kids and the cleanup crew. If PB&J is a food group at your pad, this tome sheds a more appetizing light on the flavors of the season with beautiful photos and healthy recipes. 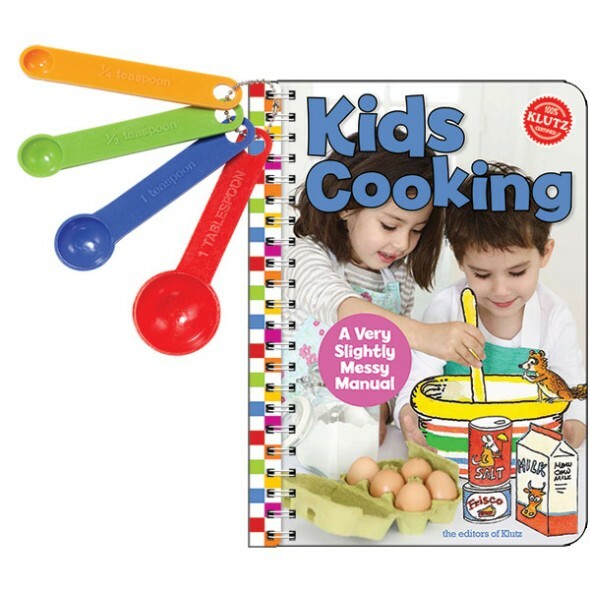 Colorful storybook illustrations and kid-friendly cooking tools will delight budding chefs.